A two-way radio or 2 way radio is a radio that can both transmit and receive signals simultaneously. Two-way radios are available in mobile and hand-held portable gadgets and devices. 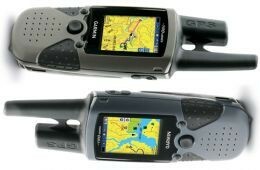 These Hand-held 2 way radios are often called walkie-talkies or handie-talkies. Accessory Connector – To connect external devices to your radio, such as headsets and speaker microphones for hands free operation. Audible Button Beeps – To let you know that a feature was selected. These tones can also be turned off. Backlit Display – To make it easier to read the display in low light conditions. Battery Charger – To charge rechargeable batteries. Battery Save Mode – To save and optimize battery life. Channels – To communicate with others using a two-way radio. Keypad Lock – To Lock the buttons to avoid accidental resetting of channels or features. Low Battery Alert – To let you know when the battery charge is getting low. Range – The range is how far you can talk between two radios. The higher the power, the more range you will get. Vibrate Alert – Radios with this feature will vibrate to alert you that you are receiving a call. Several two-way radio handsets and accessories are available in stores. Following are some of the best two way radios available in the market. Midland offers Top-of-the-line two-way radios with maximum power for maximum range, voice quality and performance loaded with features such as 121 Privacy Codes per channel, 5 Call Alerts, Vibrate Alert, NOAA Weather Radio and Silent Operation. Motorola 2-Way Radios: Motorola offers wide range of two-way radios ranging from economical to value-priced.